Sil Vigilante cuts a client’s hair last year, prior to the closing of the barbershop in Reynolds Club. On July 17, 2015, the University of Chicago’s Administration closed the doors of the century-old barbershop in Reynolds Club for financial reasons. Student Government (SG) has moved into the space. Located in the building’s basement, the barbershop was best known for the outstanding service provided by barbers Mitch Mutluguler and Sil Vigilante. Together, the barbers had 60 years of hair-cutting experience. On a larger scale, the University is making significant budget cuts. This past April, Provost Eric Isaacs e-mailed University-specific faculty and staff, explaining that recent investments such as the Mansueto Library, Logan Center for the Arts, and Campus North Residence Hall and Dining Commons required the University to maintain a smaller administrative budget. He also wrote that non-academic departments would be most affected by the budget cuts. Dean of Students in the University Michele Rasmussen said that the College and Campus and Student Life are hosting a recognition party for Vigilante and Mutluguler in the coming weeks, and that details will be released to the campus community. “The space is now housing Student Government, and is part of an overall effort to optimize the use of limited space on campus to meet the diverse needs of student groups and RSOs,” Rasmussen said in a statement. Sil began as a barber in Italy and continued his work at the Reynolds Club after moving to the United States over 50 years ago. Mutluguler spoke to The Maroon about the history behind his work, his partnership with the University, and his future plans. He said he learned about the University’s plans to close the barbershop just one day before its doors closed, on July 16. “When I heard about the closing, I wondered what to do with the appointments that I had already scheduled for the next few days,” Mutluguler said. Mutluguler who has been a barber since 1948, came to Chicago in 1980 after living in Macedonia and Turkey. “My father died shortly after the second World War. He told me I could be one of three things—a shoemaker, a tailor, or a barber. I chose to be a barber,” Mutluguler said. Since his arrival, Mutluguler has worked at the Drake Hotel downtown, University Hair Stylists, and Hyde Park Salon and Barber Shop before moving on to the Reynolds Club. During the 10-plus years that he had spent working at the Reynolds Club Barbershop, he met and provided service to countless students, professors, faculty members, surgeons, inventors, and politicians. Many of them were surprised to hear about the closing. “I used to cut hair for so many people. Surgeons, people who invented the Rover on Mars, people who work for the president, former University presidents and vice presidents, CEOs of banks—all of them came to see me, and all of them were shocked [about the closing]. John Mearsheimer saw me a lot,” he said. Mutluguler attributes his past success to two key elements. “Two things make you successful in any business – you have to be professional, and you must have personality,” he said. Jonathan Arone, a student building manager at the Reynolds Club, visited Hyde Park Hair Salon and Barber, where Mutuguler used to work. “When I told the barbers, some of them were really shocked. Some said that he was the one who taught them how to cut hair,” Arone said. Tony Coye, a barber at the Hyde Park Salon, recalls his earliest childhood memories of Mutluger. “I didn’t personally know him, but he is definitely well-known. When I was growing up, me and my friends used to see him cutting hair at the University shop,” Coye said, referring to University Hair Stylists at 5700 South Harper Avenue. While Mutluguler enjoys being a barber, he also stays in the business to support his ailing wife. Since the Reynolds Club Barbershop closing, Mitch has been at Yehia & Co Hair Designs, which is located at 1455 East 53th Street. 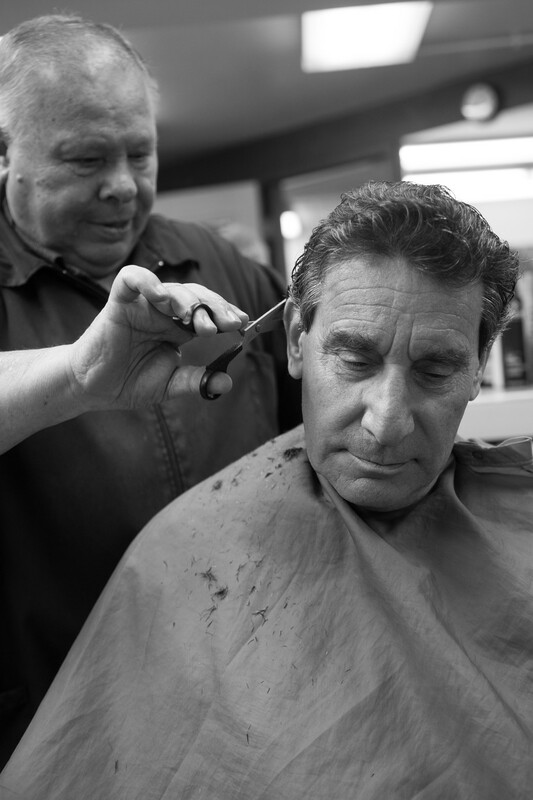 Check out Grey City's photo essay on the Reynold's Club barber shop.